When the 13-novel longlist of the 2012 International Prize for Arabic Fiction (IPAF) was published earlier this month, the fact that it included only one woman inevitably attracted considerable comment. 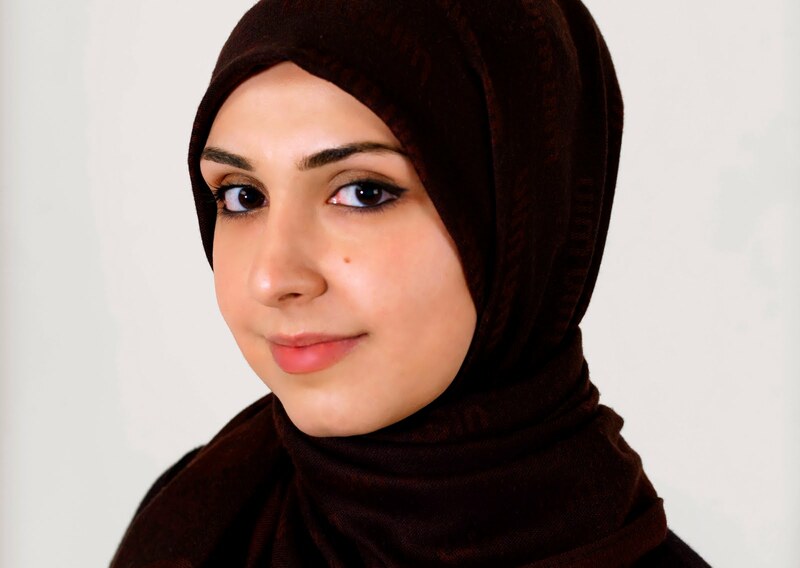 The one woman on the longlist is Iraqi-Danish writer Hawra al-Nadawi, whose longlisted debut novel Under the Copenhagen Sky is published by Dar al-Saqi. The publisher told the tanjara: "Saqi was enthusiastic about this first novel; we felt on reading the manuscript that Hawra’ is a very promising young author. Her selection in the long list happily confirms our assessment. This novel is strong enough to constitute an important new addition to what could be called Iraqi Diaspora literature." The six-book shortlist for the prize, and the identity of the judges, was to have been announced in Cairo on 7 December. However, IPAF says the announcement has been postponed until 11 January 2012, given "the current turmoil in Cairo and our awareness of, and respect for, the suffering and anxieties of many of those involved." IPAF adds: "It remains our intention to make this announcement in Cairo, recognising its importance as a hub for Arabic literature." The winner is due to be announced in Abu Dhabi on 27 March - the eve of the Abu Dhabi International Book Fair. Under the Copenhagen Sky tells of the love story between Huda, a teenager born in Copenhagen to Iraqi parents, and Rafid, an older man forced to emigrate to Denmark by the political situation in Iraq. The story begins when Rafid receives a letter from Huda, whom he has never met, asking him to translate her novel from Danish into Arabic. As their relationship grows, Huda begins to reveal that she knows more about Rafid than he first thought. The novel interweaves chapters from Huda’s manuscript with Rafid’s own account of the romance that develops between the pair through their email exchanges. Al-Nadawi is not only the sole woman on the longlist, but she is also, at 27, the youngest of the 13 longlisted authors by more than 10 years. The next youngest is Syrian writer Fadi Azzam, longlisted for Sarmada, who turned 38 this year. Al-Nadawi and Azzam are among the three young authors longlisted for their debut novels; the third is Charbel Kattan (41) of Lebanon longlisted for Suitcases of Memory. Many congratulations on being included on the longlist for the International Prize for Arabic Fiction (IPAF) which was officially announced on 10 November. How did you hear the news, and what was your reaction? Thank you very much. I was clueless as to when the long-list was to be announced, so I was not really expecting anything when the editorial manager at Dar al-Saqi called me early in the morning of that day to inform me that my novel was longlisted. I was of course happy to know that. How does it feel to be the only woman on the IPAF 2012 longlist? Is it significant for you or do you think gender is irrelevant in the IPAF judging process? Last year people were thrilled because there were as many as six women in the long list: this year they're thrilled because there is only one. This debate never seems to end. I truly believe that creativity knows no gender, no age, and no race, thus I never question any of those. Your novel has an evocative title. Please tell us something about the novel and the writing of it. Is it autobiographical in at least some aspects? I started working on the novel from early 2005 and finished it after four years. The main reason behind the idea of writing a novel was my desire to engage myself in something that would make me write every day. It is not autobiographical as I had no idea what the novel should be about when I took the decision to write. I started looking around me and found inspiration in my community and little by little the features of the characters started to emerge. The novel is based in Copenhagen: the main characters are of Iraqi descent and the novel focuses on the cultural differences with which the characters are dealing. Growing up I had always noticed that the media mainly highlights the actions and traits of people with different ethnic background – they are violent, they are ignorant, they are annoyingly different, they don’t integrate! etc. It almost never digs into their feelings to show how they feel about being an outcast, or in simpler terms, just different. Therefore feelings in general were a main concern for me while writing the novel. I wanted to bring this matter to the fore. When and where were you born, and why did your family migrate to Denmark? I was born in the Iraqi capital Baghdad in August 1984. My parents were imprisoned two months after my birth along with other family members, for political reasons. My father was sentenced to 25 years and my mother to 10. They were however released in the so-called general amnesty of 1986. I was kept with my mum, spending the first two years of my life in Saddamite prisons. During the 1991 uprising against the former regime my father was jailed again. Finally, when they miraculously released him, he decided that we had to leave Iraq so we migrated to Denmark where I grew up in Copenhagen. Was there a dilemma for you over the choice of language in which you would write fiction, and how did you manage to maintain and develop your written Arabic while growing up in Denmark? I am bilingual from birth. Being half Kurd, half Arab, I grew up speaking Kurdish and Arabic along with Danish, and languages have always had a huge impact on me. Since I went to a Danish school, my parents decided to homeschool me in Arabic and they were very strict about it. On the other hand Danes love languages, and they are great at teaching them too. In high school I had already had classes in Latin, French, German, English and of course Danish. But it was Arabic and oriental languages that truly fascinated me the most. Arabic is a very rich and strong language and gives you more freedom when you choose to play with it, so I prefer it when writing. Did you always want to be a writer? Is there a literary trend in your family? My extended family include poets and writers. I have been quite acquainted with literary life since childhood, and have always been passionate about wanting to be a writer. Could you say something about your reading of fiction and whether any authors have been particular influences on your writing? In order to become a good writer you need to be an excellent reader first. In Copenhagen there is an Arabic section in almost all public libraries. I used to go to the local library every day and spent hours after school reading. Over half of the Arabic books at the libraries were by Egyptian writers, and I was charmed by their rich style and the oriental spirit of the Middle East which they present so beautifully. However I don’t know which writer has influenced my writing in particular; it’s pretty hard to tell. What was the earliest fiction you wrote, and had any of your writing, fiction or non-fiction, been published before Under the Copenhagen Sky appeared? As far as I can remember the first fiction I wrote was a short story at the age of 10, and I continued writing reviews of books plus writing about my daily routine. Besides, I used to write poetry in Danish. Before publication of my first novel I published several articles online. I am studying linguistics at present. I wish to specialize in Arabic in the future. Did you master the skills of fiction writing on your own, or did you for example go to creative writing classes or a writing group? I never took any classes whatsoever. When it comes to writing, my feelings are my compass. Writing a novel taught me to be patient. It's like a long weaving process – all you need is your tools and your determination. Banipal magazine of modern Arabic fiction has paid some attention to Arab writers in Scandinavia. For example it recently ran a special feature on Arabic writers in Sweden, and it has also published contributions from two Iraqi writers living in Denmark – poet Muniam al Faker and fiction writer Duna Ghali. Is there much of an Arab literary scene in Denmark from your experience? I was not much involved in the literary scene when I used to live there. I know however that there are projects which aim to translate Arabic fiction into Danish and was very excited about that. Unfortunately nothing has yet been produced, so perhaps the whole translation plan is postponed. Have the invasion of Iraq, and subsequent events there, had an effect on your writing? The first time I went back to Iraq was August 2003. All the beautiful images that I’d had in my mind from the age of six were replaced with scenes of destruction. Still, I try my best not to let that affect my writing. There are certainly other beautiful sides of Iraq on which I would like to focus. Our multiculturalism for instance is a huge inspiration for me. Are there plans for your novel to be translated into English? Do you have a literary agent? My novel is based in Copenhagen; some Arab readers had no idea where Copenhagen is located on the map. Some of them had not even heard of it before the Muhammed cartoons. I think my novel gives Arab readers a new glimpse of how it is to be a young Arab living in Copenhagen. Through translation of the novel I will reach a new audience with a different background, and that’s a new goal for me. Literary agents are an ultimate luxury for an Arab writer, of course I don’t yet have one. How did your publishing deal with Dar al-Saqi come about? Dar al-Saqi was the first publishing house I thought of when I decided to publish my novel, considering that they are well known and well read in the Arab World. So I managed to send them the novel which they received favourably and I have a good relationship with them.